Hello folks and welcome to my website. I hope you've had a good look around the tree house and met some of the squirrels. Watch out for the one sitting by the phone...he gets a bit cheeky! 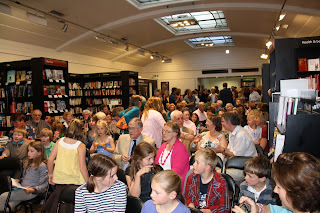 Well it's been a busy old week. 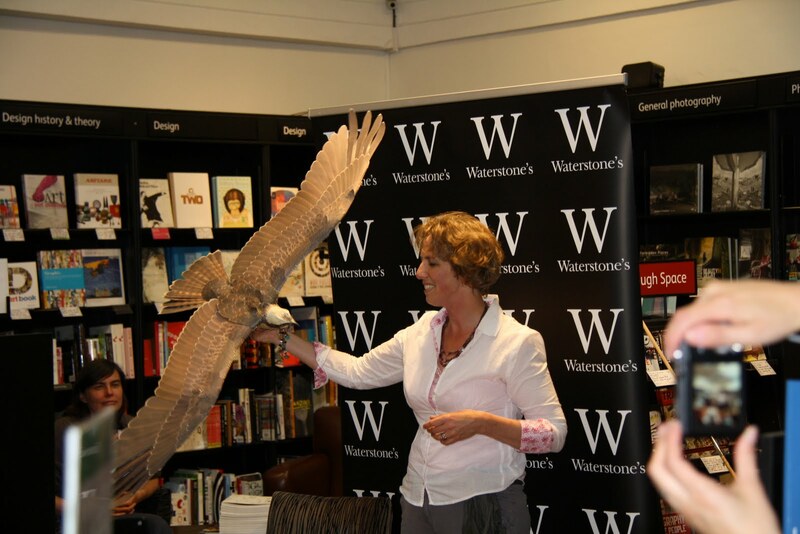 Tuesday saw the launch of Sky Hawk at Bath Waterstone's. 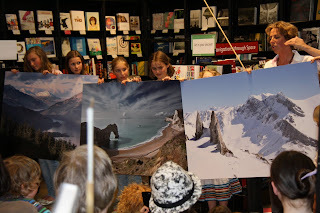 It was a great fun event with lots of friends and family and people from the publishing world. 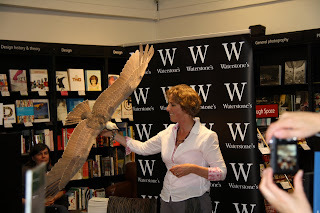 My fantastic editor, Liz Cross came too and said a few words to everyone before I talked about the inspiration behind Sky Hawk. The real stars of the show were Barney and Bracken, a European eagle owl and a tawny owl. 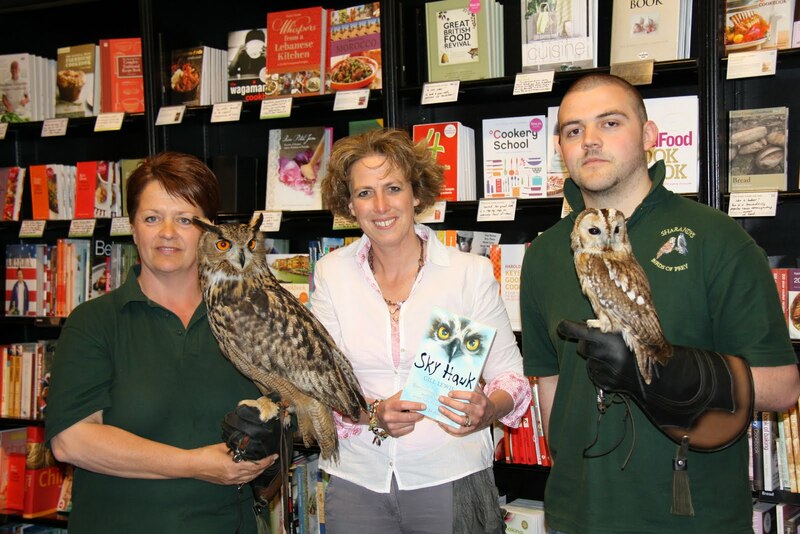 Sharon and Matt from Sharandy's Birds of Prey brought them to the launch to meet eveyone. 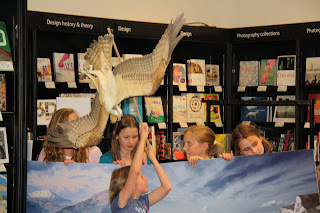 Although the paper osprey wouldn't behave! But it was a great fun event and fanatastic to see so many there...we ran out of orange juice...and even ran out of Sky Hawk books! 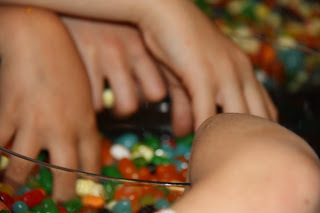 Oh...and 5kg of jelly beans were devoured in 1 hour...surely that's got to be a Guinness Record!!! !